Baby 911. The poor man’s Porsche. That’s what they called the Boxster when it debuted some 20 years ago. They said the same of the first Cayman when it arrived a decade later, but they stopped saying it when the latest iterations hit the scene two years ago. That’s because Zuffenhausen’s entry-level models have long since stepped out of their big brother’s shadow and into their own. And that appears to be all the more true of the new Boxster GTS and Cayman GTS. 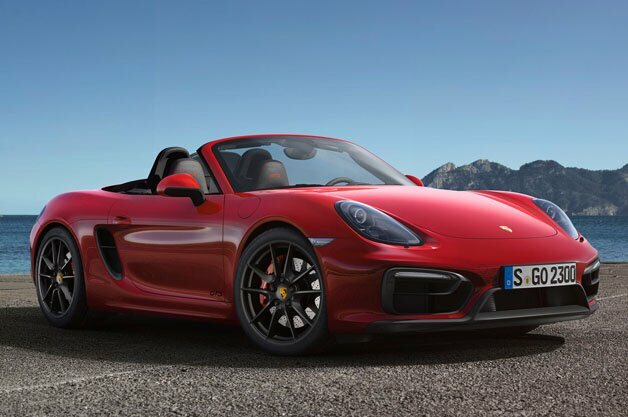 Based on the Boxster S and Cayman S, the new GTS models benefit from an enhanced 3.4-liter flat six that produces 330 horsepower and 273 pound-feet of torque in the roadster or 340 hp and 280 lb-ft in the coupe – representing an increase of 15 hp and 7 lb-ft in either model. Both also come with the Sport Chrono package as standard, along with adjustable suspension and 20-inch alloys, blacked out to match the dynamic headlight surrounds and other muted trim. Those disappointed by the unavailability of a manual transmission in the fire-prone 911 GT3 will be pleased to note that a six-speed manual comes standard, but those enamored of letting a pair of clutches shift themselves seamlessly will want to spring for the optional seven-speed dual-clutch gearbox. So equipped and with launch control engaged, the Boxster GTS will rocket from 0-60 in 4.4 seconds, while the incrementally lighter, more powerful Cayman will hit it in 4.3. Either way you’re looking at a third of a second quicker than the Boxster/Cayman S. The interior has been upgraded with Alcantara trim and sports seats, but while Porsche is offering a stiffer suspension lowered by 20 millimeters in Europe, it doesn’t seem to be offering it in the US. The first mid-engined GTS from Porsche since the 904 Carrera of 1963 will reach showrooms this summer with sticker prices starting at $73,500 for the Boxster GTS and $75,200 for the Cayman GTS, plus $995 for delivery. That makes both a good ten grand more than their S counterparts, but outfit either with the Sport Chrono package and PASM active suspension that come standard on the GTS, and a few other choice options to make your stand out, and that ten-grand price differential will soon evaporate – without the extra power to go with it. This entry was posted on Thursday, March 20th, 2014 at 3:42 pm. 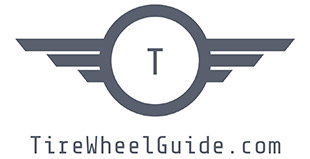 It is filed under Automotive, Featured Posts, News. You can follow any responses to this entry through the RSS 2.0 feed.